Home Latest Tech BlackBerry Mercury- Can This Be A Comeback For BlackBerry? Blackberry has been struggling for a strong comeback for the past decade to regain its former glory in the smartphone world but unfortunately, it has never been able to find the right recipe again. It also tried its hand in creating an android phone but it still lost as it could not deliver what Samsung and Sony were already masters at. But now it seems that Blackberry has a new device up their sleeve which might give them the comeback they were hoping for. Lets know more about Blackberry Mercury. BlackBerry Mercury is said to sport the same camera sensors as Google’s Pixel smartphones. It is likely to come with a 12-megapixel rear camera with Sony IMX378 sensors. The Google Pixel smartphones boast one of the best cameras, and it would be interesting to see if BlackBerry is able to emulate it on the Mercury. Up front, the BlackBerry Mercury is said to house an 8-megapixel selfie camera with either a Samsung S5K4H8 sensor or an Omnivision OV8856 sensor. BlackBerry was the first company to bring click wheel on a mobile phone. Bringing ground breaking technology is not something new to the company. Blackberry Mercury will feature a combination of metal and a rubberized body. 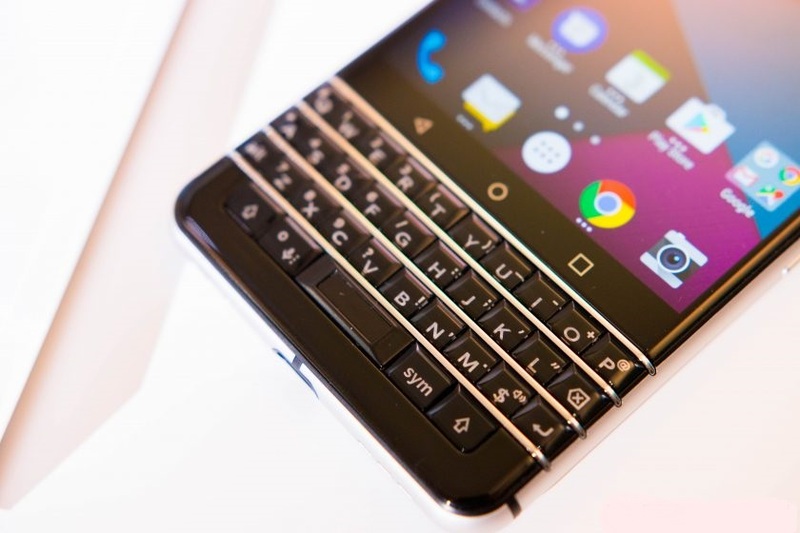 The smartphone will feature a capacitive QWERTY keypad similar to the BlackBerry Passport. Now here is the best part. Instead of having a home button or a rear space for finger print sensor, Blackberry decided to place of the fingerprint sensor on the space bar of the smartphone. In terms of specifications, what has been confirmed so far is that it will feature a USB Type-C port for connectivity and on the software front, it will run on Android Nougat out-of-the-box. The phone looked and felt pretty comfortable at the CES this year. BlackBerry Mercury is rumored to have a surprising 4.2 or a 4.5 inch screen instead of the large 5.5 inch screens that we see today everywhere. Mercury will have a Qualcomm Snapdragon 821 or 625 processor under its hood. In terms of RAM, Mercury is rumored to have a 3 GB RAM and possibly will come with 32, 64 and 128 GB variants. Blackberry will have to make a strong impression in terms of battery life to make a difference and the rumor has it that Mercury will be powered by a 3500 mAh Li-ion battery.